What do you do when you find yourself going through a major life change? Why, start a makeup line of course! Meet Debbie Bondar, the genius behind Canadian brand FACE Atelier. I was lucky enough to have a conversation with her recently and I'm so excited to share about this line with you all! She embodies the kind of woman we love here at P&P: educated, intelligent, tenacious, business savvy, and able to rock lipstick while doing it all! Debbie describes starting FACE Atelier as her post divorce reinvention. 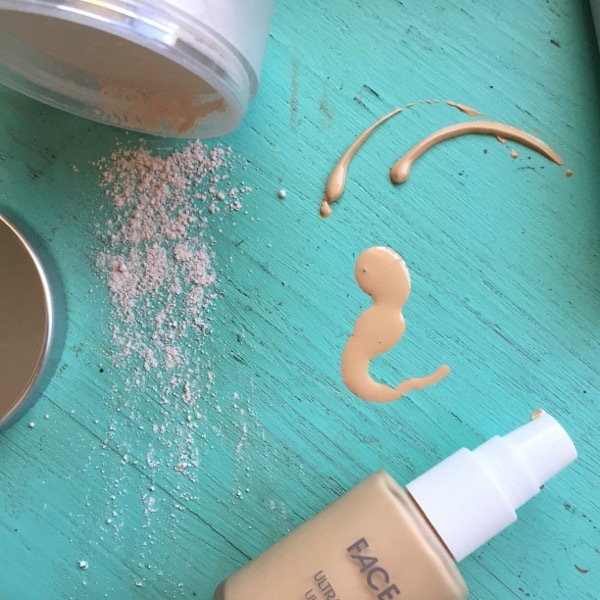 With her life shifting gears, she found herself evaluating her beauty routine and realized that despite being in her forties, she had yet to find her perfect foundation match, "I have a basic olive complexion. If I can't find a good shade then who can?" So she took her experience and education (did I mention her background is in journalism and law?!) and launched a brand full of not-so-secret weapons that you'll find in the kits of many celebrity makeup artists. 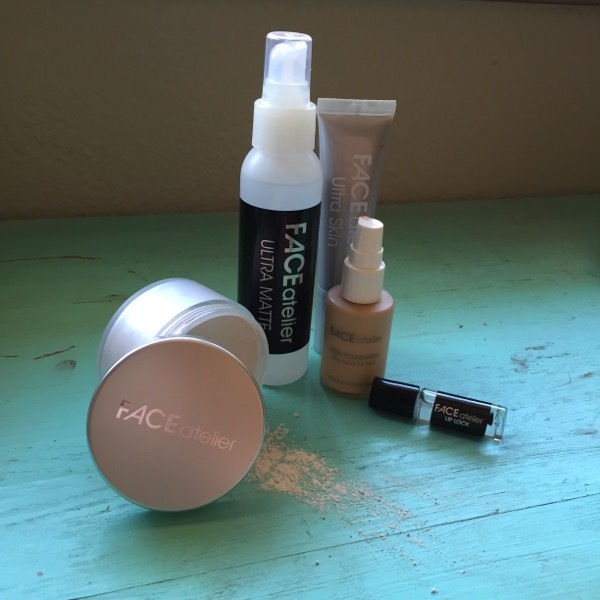 FACE Atelier prides themselves on their universal appeal and was designed for consumers while still meeting the needs of professional makeup artists. Debbie shared a simple but very real truth, "Artists and consumers want the same thing: High performing easy to use products that help them look their best." The brand has a less is more vibe, with no-nonsense packaging and multitasking products rather than having a multitude of products for singular needs. Products that are developed by listening to the feedback and needs of the artists and people who use them? You bet...function and performance are in mind when items are launched, not trend. Debbie shared the impact she feels cosmetics can have, "Healthy self esteem is exceptionally important...I'm a mother of daughters. So much illness starts from within! 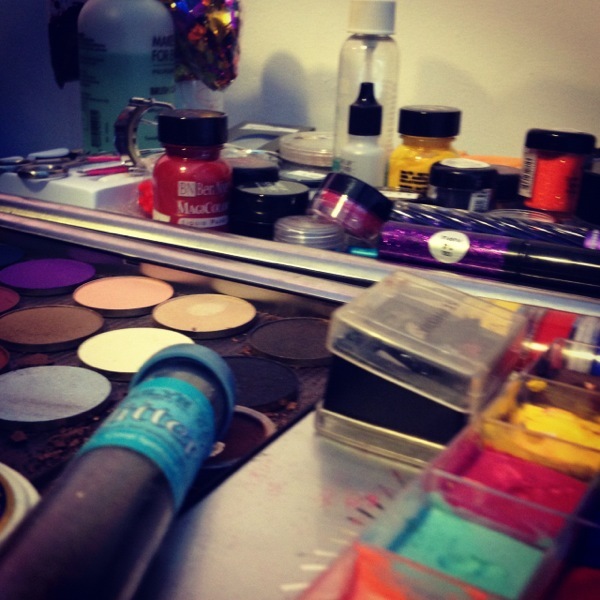 Makeup can be an important tool in a woman's toolbox to help her feel better if she so chooses." 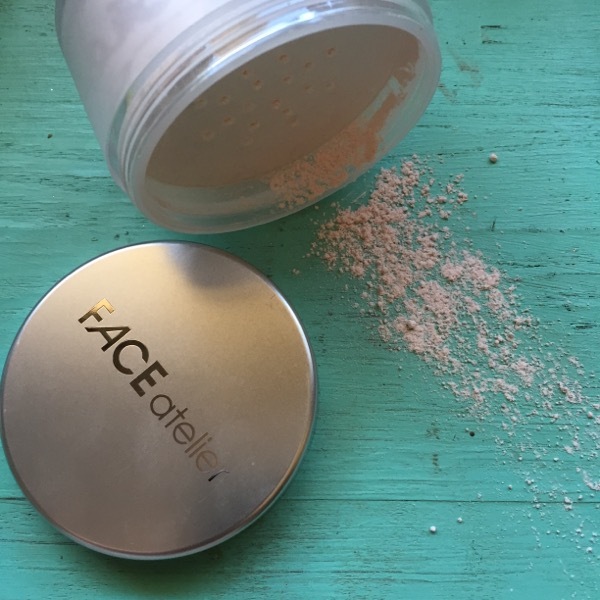 As far as those specific "tools" goes, stay tuned in the coming weeks on Instagram and here on the blog for some product breakdowns and favorites from FACE Atelier! Oh, did i mention the line is Peta and Leaping Bunny approved?! "I always believed there was magic in the bottle," we do too, Debbie! 1. Elf eyelid primer: "This sheer formula doesn't interfere with the color or texture of your shadows...use it and nothing will budge! 2. Benefit's High Beam and Benetint: "I love to mix them together! Looks good on every skin tone and gives a natural healthy flush. 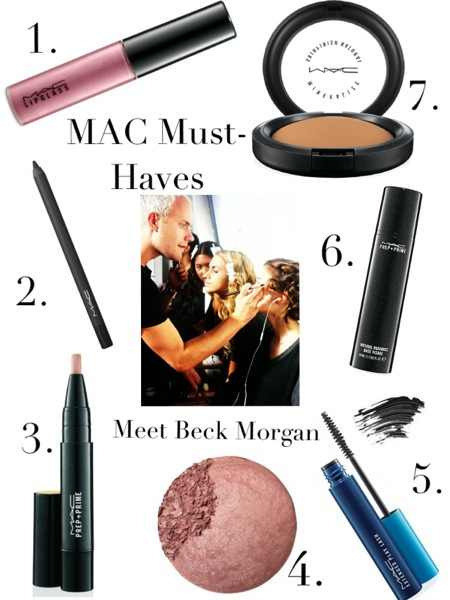 Instant red carpet glow!" 3. MAC Mineralize Skin Finish: "I love this powders beautiful coverage, it's not too much, and provides subtle luminosity! Great for setting foundation." 4. Clarins Beauty Flash Balm: "Love it! I reach for this when I know that my skin needs that wide awake, fresh, just had a facial look! Instantly snaps my skin back from looking dehydrated." 5. Lingering MAC brow pencil: "This is super precise so you can mimic the natural shape of the brow hairs." 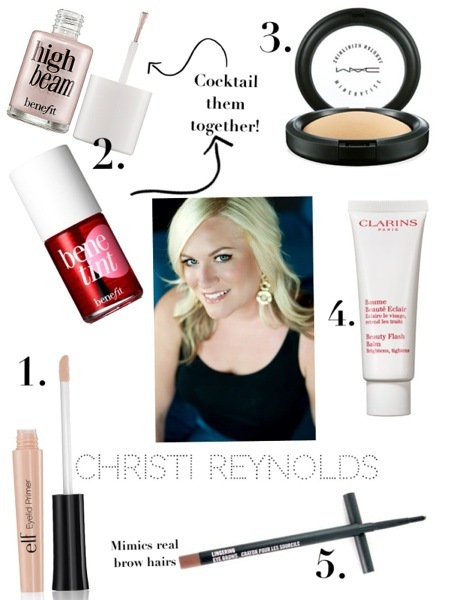 Christi sums up her beauty philosophy well,"I like to make-up, not make over. I like to correct, define, and enhance...enhance...not create! There's a difference." "So lets see, where do I begin...Well for starters my name is Kali Lorenzo. Born and raised in San Jose, CA. I was always a creative kid and somehow I ended up putting it to use through makeup. I loved painting and math. So those 2 skills served me well when it came to hair and makeup. I'm a licensed cosmetologist. Believe it or not theres alot of math in hair! 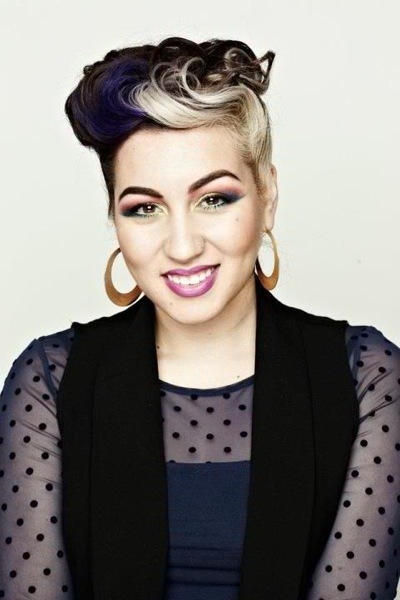 I've been professionally doing makeup for about 5 yrs, hair 2yrs." 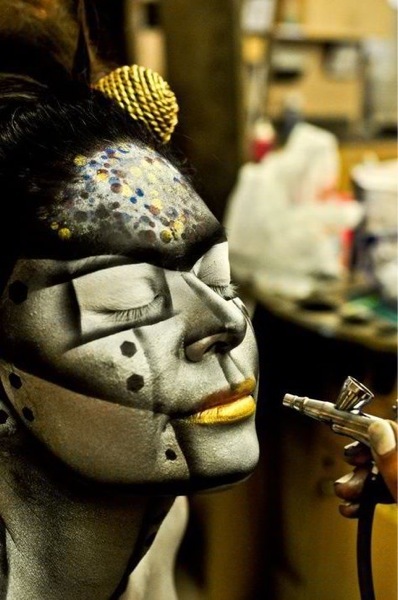 "As far as body painting goes, I've only been doing that for a year. My first time doing such thing was for a Hair show competition, which I won first place for ;). The theme was "time warp" doing anything from the b.c. to present involving hair/makeup. I did futuristic of course. I converted my model into a robot from head to toe. Never did I have previous training for this, but it was how my mind worked. I had this vision in my head so I would quickly draw it before it left my brain. Sketch it out & then bring it to life on a human body as my canvas. Sometimes I dont even know how my brain works...but it does...in a crazy way. I love doing what I do, and I feel more than blessed to be one of the few that gets to do what they love as a career." "My interest in makeup began shortly after my 15th birthday, my friend had a photography project and asked me to be in it. I knew how to do makeup, but not like those girls at MAC. That day I did a look that changed my life forever, it was simple but gave me the idea that "Hey, maybe this can take me somewhere". So I started reading books, watching youtube videos, and eventually having clients. I posted all my stuff on myspace (back then lol) then facebook, and then eventually started attending shows and networking..."
"May I add I was only about 18or 19? I was determined, and I still am." "I know what I want and I do not stop until I get it. I feel like I'm still at a young age where I have plenty of years to achieve my goals, but of course I give myself a deadline. I need to push myself harder every year to achieve that 25yr deadline. So I have 4 yrs to go :)." 1) Ben Nye Setting Spray, I dont care what anyone says best setting spray ever! 2) Urban Decay Supercurl Lash, I kid you not best curling mascara I've used by far. 3) MUFE's Flash Palette, need I say more??! Everything in 1! Wow! I don't know about you, but Kali's amazing talent and determination (at such a young age too!) is incredibly inspiring! Follow her work on Facebook...and find out there how to book her services!